With the upcoming release of the film Independence Day: Resurgence this Friday, it takes me back to the original movie and transports me back to 1996. I’m not sure there was a hotter act in music, TV and film than my featured artist today. Twenty years later, he’s still not hurting for work and continues to be a fixture in mainstream pop culture. West Philadelphia born and raised, the son of a school administrator and a refrigeration engineer. Will Smith was born in September of 1968 to a Baptist household and had three siblings, one older and a younger set of twins. He attended a Catholic elementary school and showed academic promise from a young age. While attending Overbrook High School Will was admitted to a pre-engineering summer program at MIT. While flattered, Will had no intention of pursuing the collegiate experience, opting to try his hand in rap music. 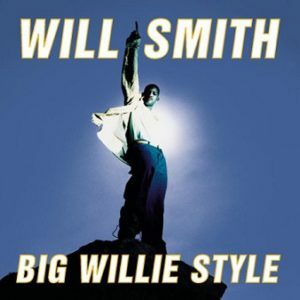 For many listeners, this was their first introduction to Will Smith’s music. The album continued with his family-friendly style, with no explicit lyrics and rapping more about the American Dream and the conflict between the neighborhood and the rest of the world. The release piggybacked Smith’s latest film release “Men In Black,” which featured a song of the same name. With the single already being a commercial success, two more singles were debuted on radio shortly after the release and the momentum didn’t sway. As of today, nearly 11 million copies have been sold worldwide. The question I find myself pondering while listening to this is—who is it for? If you’re a big rap or hip-hop fan, you are probably going to find the softer lyrics and up-tempo pop beats disingenuous. But if you’re a big fan of pop music, this will be right up your alley. It’s catchy and toe-tapping most of the way through, with a couple breaks in between. You could almost argue Smith pioneered what’s referred to as the “pop-rap” genre back in the ‘80s when most rap was tackling more serious issues like gangs, violence and problems with the police. This album isn’t a departure from that at all; there are a couple tracks that Smith seems to dabble a bit more into soul or R&B, but the themes and style didn’t change much. Whether you like your Will Smith with Jazzy Jeff, with Uncle Phil and Carlton, or with his family in modern day, I think there is something on this album for you. No one’s going to accuse it of making music history—but if you’re looking for something upbeat to get through Tuesday; it’s well worth your five dollars.